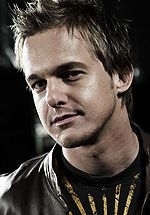 Heinz Winckler is a South African musician and singer who was the winner of the inaugural series of Idols (South Africa). He placed 4th on World Idol in 2003. The show was a one-off international version of the television show Pop Idol, featuring winners of the various national Idol shows around the world competing against each other. Born in Stellenbosch, South Africa, Winckler burst onto South African TV screens by winning the first South African M-Net Idols competition (the equivalent of American Idol) in June 2002 and a major recording contract with Sony BMG Records. He twice performed his debut single, "Once In A Lifetime" to a 500-strong live audience and millions of television viewers. Walt Disney employed his talent to perform one of the credit songs, "Chasing Shadows" for the movie "Treasure Planet". The movie was a hit on the South African market, grossing over R3-million in the first weekend. 2004 saw Heinz break into the international market by performing & traveling to the USA, U.K & Canada. As part of the 10-year celebrations in SA he performed at Ukkasie, held at the Royal Albert Hall, London and went on to take the lead role of Tony, in a community stage production of West Side Story, Toronto, Canada. His second album, "Come Alive" (produced by Marius Brouwer), was released September 2004. The first radio single off this pop album, 'Can't Lose With You' reached #1 on a number of radio stations. The second single off the album was a track that was co-written by Heinz. 'Drowning Me' performed well on national and regional stations. Both of these singles have been added onto the very popular NOW compilation albums (38 and 39 respectively). "Come Alive" was nominated for a South African Music Award (SAMA) in April 2005 in the Best Pop Album category. Heinz supported Westlife on their Greatest Hits tour to South Africa. Accompanied by his 5-piece band, Heinz played the cities of Durban, Port Elizabeth, Cape Town and Johannesburg, playing to about 40,000 people. In Johannesburg alone the audience was 18,000 people strong. Heinz describes this experience as "the highlight of my career"
The first ever World Idol took place in December 2003 – January 2004 in London and saw Heinz gaining 4th place, beating Will Young from the UK, and voted 2nd place by the American public. Within one week of the show being aired his CD was unobtainable due to phenomenal sales. His debut CD single 'Once In A Lifetime' went double platinum, making it an instant smash hit, with over 51,000 copies initially sold. In 2003 he was nominated for two SAMAs (South African Music Awards) for best single, 'Once in a Lifetime' and best pop album, 'One Step Closer'. Gold sales status for a single is 10,000 plus units in South Africa, with platinum being awarded for over 25,000 units sold. Winckler was included in the 2003 Cosmopolitan magazine's Sexiest Men calendar. Winckler married Alette de Klerk on Monday 2 October, 2006. The couple spent a two-week honeymoon on the Greek islands of Paros and Santorini.